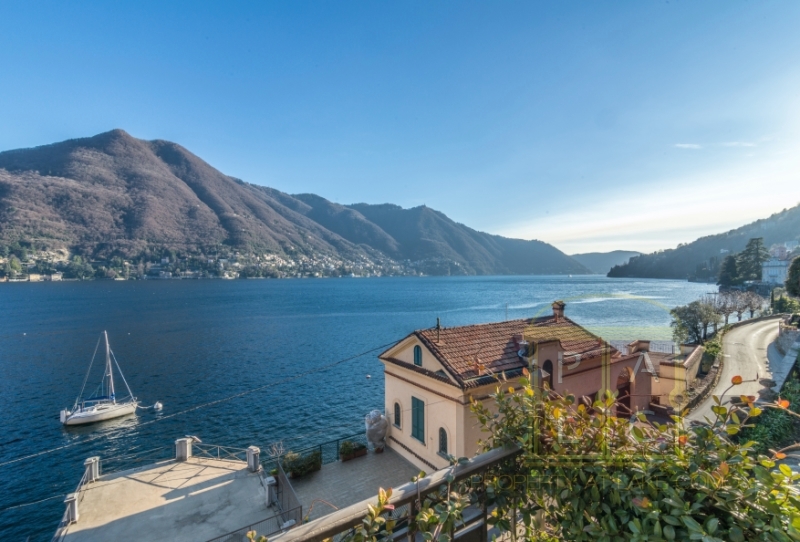 A treat to the eyes inside-out, spacious living space indoors and outdoors, and panoramic view of the peaceful Lake Como from the comforts of living room – welcome to Villa Orlanda, the latest Italian villa listed for sale in the Lake Como region. 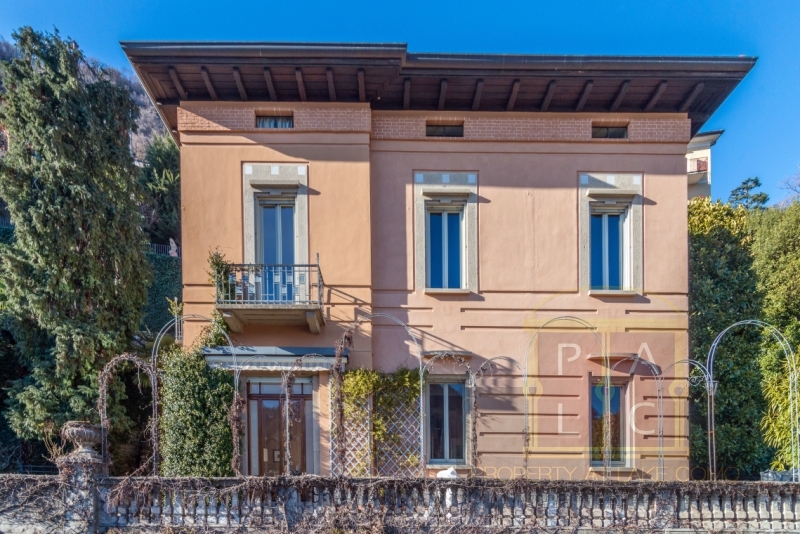 This period Italian villa in Moltrasio commune has many unique qualities. A perfect specimen of early 20th century’s liberty architecture, Villa Orlanda certainly holds a special place among luxury villas of the area. Let’s learn more about Villa Orlanda and find out what makes it so special. Villa’s location itself is enough to make you fall in love with it. A 3-story lakefront property, Villa Orlanda promises an arresting view of Lake Como throughout the day. And the best part is, Villa Orlanda’s location is such that it offers the peacefulness that one expects from a luxury Lake Como villa without being in a remote place. In fact, popular city hubs like Grand Hotel Villa D’Este, Hotel Castadiva, and Malpensa international airport are just a few minutes away from this waterfront property. Spanning over 3 stories and a basement, VillaOrlanda has a gross living area of 470 square meters and an outdoor living area of 1000 square meters. Adorned with 6 bedrooms, 4 on the first floor and 2 on the top floor, Villa Orlanda is an ideal house for a mid-size family. There are 3 bathrooms, 2 on the first and 1 on the top floor. On the first floor, living room and dining space attached with a huge kitchen, are on the lakefront side, making this luxury Italian house more desirable to live. The interior of this lavish villa will remind you of the artistic & cultural life of the early 20th century, Italy. Over the years, the villa is kept well-maintained and most of its originality is intact. 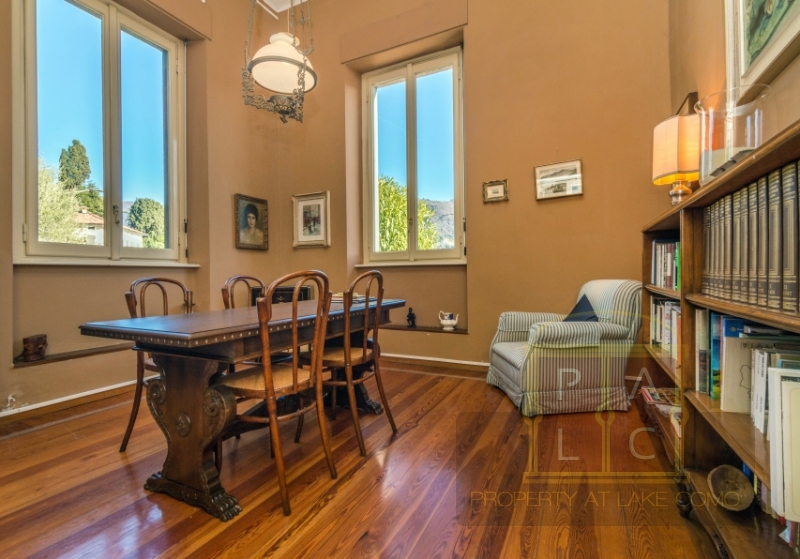 The spacious interior, marble fireplaces, lots of windows to let air & light come in, high ceilings, etc. will make living here much more exciting for anyone. Peach-colored walls, first-floor covered with ivy from the outside, and beautiful mini iron grilled balconies on the second floor give Villa Orlanda the impression of a house from some Disney’s fairy tale. Surrounded by trees on the back and facing the lake, the spacious first-floor terrace area offers an ideal place for relaxation – read a book, play some music instrument, or just chill while enjoying the beautiful scenery in front. Like any other Lake Como house, words fall short to describe the experience of living at Villa Orlanda. Besides spacious living area, beautiful interior & exterior, and a desirable location, there are many things about this period villa that will make you want to live here. Across the street, there is a personal boathouse, a 3-car parking garage, basement with a cellar, and much more. We urge you to come and experience it all yourself. Learn more about this villa or contact us for bookings. 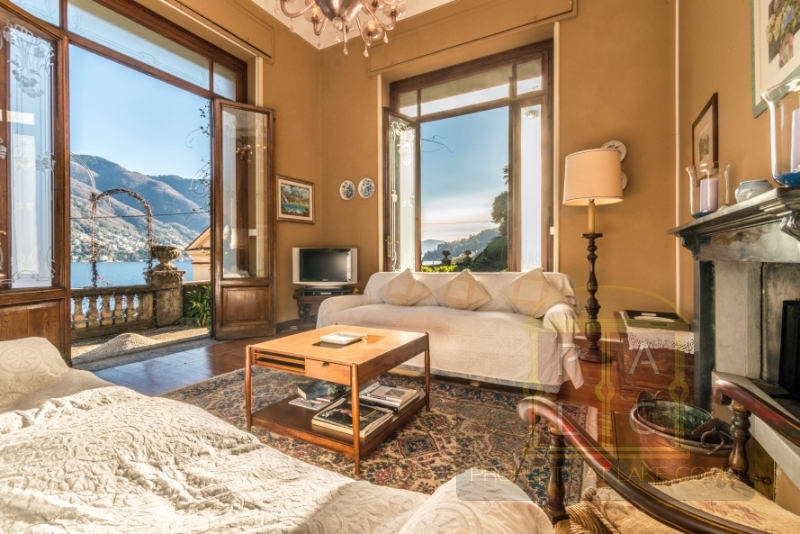 Posted in Lake Como Property and tagged as villa orlando lake como sale by Marco Badalla.